Twelve refugee camps line the eastern border of Chad, just miles away from the Sudanese region of Darfur. Together, these camps are home to approximately 300,000 Darfuri refugees who fled the unfathomable violence in Sudan at the hands of President Omar al-Bashir, his military, and the Janjaweed – also known as Devils on Horseback. The well-documented attacks against civilians in Darfur—which have now all but disappeared from headlines—have yet to actually disappear in reality. Villages in the region are still under attack, civilians are still being targeted, and safety is still hard to come by for the Darfuri people. According to Sudan expert Eric Reeves, the death toll from this conflict looms dangerously close to 500,000. This is not including those who have been injured or displaced – those numbers reach into the millions. In spite of this, the Interior Ministry’s Sudanese Refugee Affairs Commission recently called for what it is referring to as “Voluntary Repatriation.” In short, the Ministry is asking those living in the Chadian refugee camps to start making their way back to their villages Darfur. It is announcing the all clear, claiming it is now safe for refugees to start heading home. The problem, of course, is that this call is premature at best. At worst, it shows a blatant lack of concern for the Darfuri people as it willfully puts them back in harm’s way. This call for Voluntary Repatriation comes out of the Tripartite Agreement between the UN Refugee Agency, Chad and Sudan, which among other things, aims to repatriate 300,000 Sudanese refugees and 8,500 Chadian refugees. Voluntary repatriation in and of itself is not a joke. As the UN Refugee Agency notes, this is the ultimate goal for refugees; that one day they would be able to return to their homes in peace and safety. The majority of refugees of conflict have not fled their homes out of a desire to live elsewhere, but rather a desire for safety. To be able to return home would be a dream for many. The catch here is the need for their home to be stable and peaceful, which arguably, most of theirs are not. Further, this peace and stability will require the coordination of international agencies as well as the full support of the government of Sudan. To be clear, safe voluntary repatriation will require the honest participation of the leader of Sudan, President Bashir. When a world leader is still carrying out attacks on civilians, it is probably not yet time to count on them to help with the safe return of the refugees of those attacks. The lingering question then, is why the Ministry jumped the gun on this. 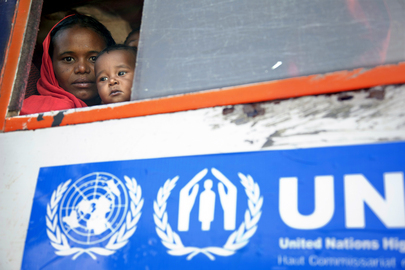 Statements from the UN Refugee Agency in respect to Voluntary Repatriation highlight that these, “programmes could be envisioned in the future if conditions in CAR and Sudan allow for returns in safety and dignity.” So yes, Voluntary Repatriation is an ideal, but systems are not yet set in order for refugees to do so safely. So again I ask, why has the Ministry made this move? Did something get lost in translation? Is it trying to sweep the ongoing violence under the rug? What is the motive here, and what could this mean in the long run for the desire of Darfuri refugees to return home? Corrie Hulse is the Managing Editor of The Mantle. Her writing tackles the complicated intersection of politics and humanity, with a focus on the Responsibility to Protect.